Your home's siding serves as a design element as well as a layer of protection for your home. More and more, people are turning to siding as an attractive and economical solution when updating the exterior of their home. Siding must be properly installed to fully protect your house against the elements and give you the most out of your home improvement investment. All City Construction and Remodeling has been installing siding and providing siding repair services since 1999. Backed by many years of experience, your can trust that our siding crews will install siding with precision and skill. All City Construction and Remodeling’s siding installers take pride in delivering quality products with superior customer services. All City Construction and Remodeling installs siding for houses in a variety of styles and colors, using the most attractive and robust products available today. 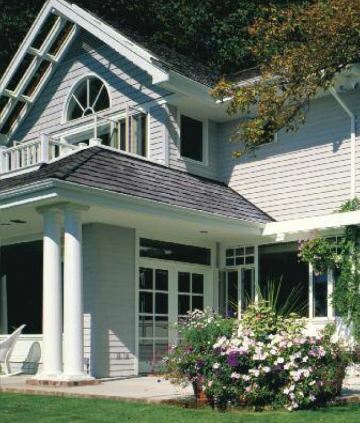 Siding should complement the architectural details and style of your home. All City Construction and Remodeling can also assist you in selecting a product that is a great match for your home. All City Construction and Remodeling siding experts offer a wide selection of siding options to meet your needs, and a range of siding prices that will suit your budget. We are well versed in proper installation of all types of siding and guarantee superb workmanship. Vinyl siding tends to be the most widely used siding for homes as it is low to no maintenance. Let All City Construction and Remodeling install vinyl siding on your home to help lower those maintenance costs as well as give your home a whole new look! Other options in home siding, wood for example, have their benefits too, adding beauty and character to any home. If you are looking to change the color of your house, All City Construction and Remodeling will also guide you through a variety of siding colors to choose from. Has a storm damaged your cedar shingles? Is your dated vinyl siding faded or cracking? All City Construction and Remodeling has the ability to repair siding promptly and cost-effectively. We outperform other siding companies by offering an affordable and thorough repair services. Call All City Construction and Remodeling today to fix siding of any type. Come examples of local siding we repair include vinyl siding, fiber cement, metal, any exterior siding that you have. Just let us know how we may assist you to repair your siding. All City Construction and Remodeling will always take that extra step to provide outstanding and top quality siding service. That’s what has made All City Construction and Remodeling a trusted siding installation business since 1999.